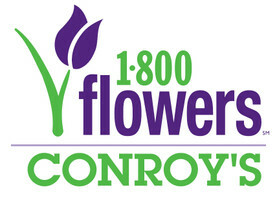 Where does Conroy's Flowers Inglewood deliver? Please visit our Flower Delivery Information page for a list of all cities and towns in the Inglewood that are part of our local delivery area. We can also process orders for delivery anywhere in the United States (same day not available), so let us know if you'd like to send flowers to your aunt in Chicago, or cousin in Reno! Order by Telephone: Once you have decided upon an arrangement from our online store, simply make a note of the name of the arrangement and call (714) 947-0294 . All of our online transactions use our secure server, which utilizes a secure socket layer to protect your personal information. If you do not wish to transmit your credit card information over the internet, then please call us at (714) 947-0294. Every internet order you place with us will be charged a sales and delivery tax of 8.75%, applied to the amount of the order. This tax rate is based upon the rate our shop is charged, regardless of the destination of your order. Please call us at the flower shop ASAP: (714) 947-0294. Should any customer place an order and then need to cancel the order, the cancellation must be made prior to the delivery of the order. If the cancellation is received after the order is delivered, no refund can be issued. Cancellations will not be accepted if a customer places an order but provides information that prevents direct delivery, such as in the case of a wrong office or home address. Where is Conroy's Flowers Inglewood? Feel free to call us at (714) 947-0294. You can also submit your question or comment to our Contact Us page, and a florist will get back to you right away.